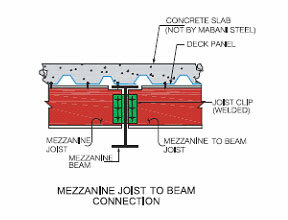 The standard DPEB mezzanine framing system consists of a steel deck supported by joists framed onto main mezzanine beams. 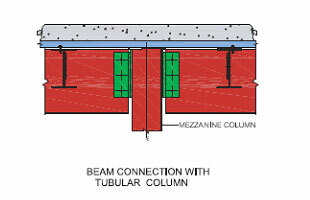 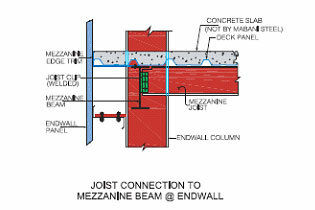 The main beams may also be supported b intermediate columns if dictated by design loads. 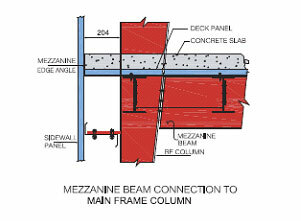 The top flange of the joists fits immediately below the top flange of the primary beams. 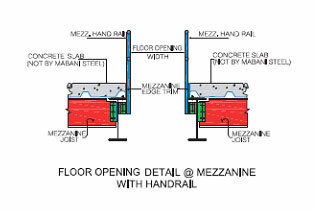 Applied floor loads, such as dead, live and collateral loads along with mezzanine column spacing, can affect the economy of a mezzanine system. 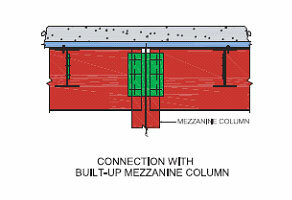 Our DPEB representative nearest to you can help you to determine the most economical mezzanine design and column spacing for your project.